Sometimes life doesn’t always go as planned. We take chances, assume risks, and learn lessons along the way to (immediate or delayed) success. We must get off that spinning wheel of our self-made circumstances as if we’re some hamster in a cage and strategically think of a way to break free from our trapped complacency. Love is much the same way. We see a cute girl or guy we are infatuated with, flirt, make small talk, and then we get a number. You may hit it off right from the start or remain friends for a certain duration. You may be strictly plutonic or vivaciously romantic for more than just a season; perhaps for a lifetime. The only way to know is by doing it, taking action, and seeing where this Moonlight Sonata attracts you. The main thing is you explore and discover what love is all about and find out what your heart is searching for. Time to release the sweet cream dream within your inner piñata. What is love? The inner faith and strength to face all of life’s unexpected challenges and weather any storm in our diverse seasons in the embrace of our passionate reflection of ourselves in the mirror of our soulmate. The path to love may be complicated and crowded at times but life’s what you make it-so take a chance and then see where your heart leads you. The Gate to the Garden within may be locked but the key is held by the One who is chosen by destiny. 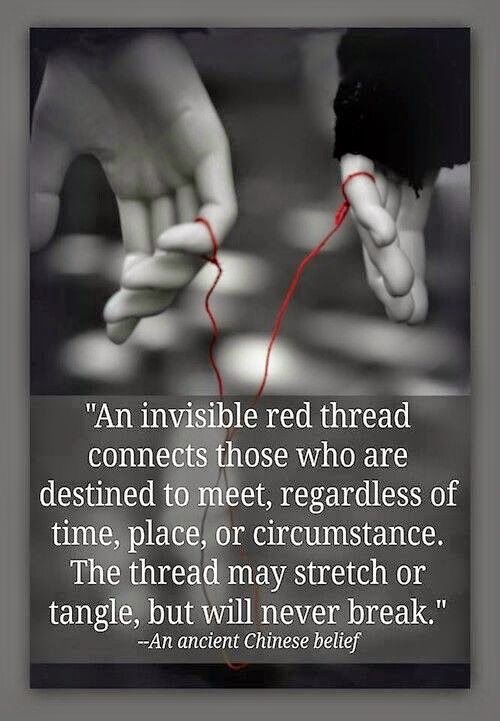 The interconnecting chain of love will forever bind two hearts together and will never be separated, rather strengthened by the shared lock of destiny.